Qynamic Ltd is an international Internet provider offering mobile Internet access worldwide. Simple offers with attractive price plans enable mobile Internet access with any device and only one SIM card (Q-SIM). 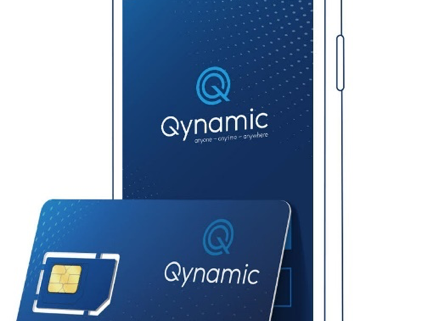 Qynamic also offers the Qynamic App – you can buy Q-SIMs, manage your account, buy additional topups and monitor your mobile data consumption! The Qynamic App is easy to use. All you have to do is create an account and you’re good to go! You can manage up to 5 Q-SIMs via the app. The Qynamic app does not necessarily have to be on the same device as the Q-SIM. For example, you can have the Qynamic app on your smartphone and the Q-SIM in a MiFi device. 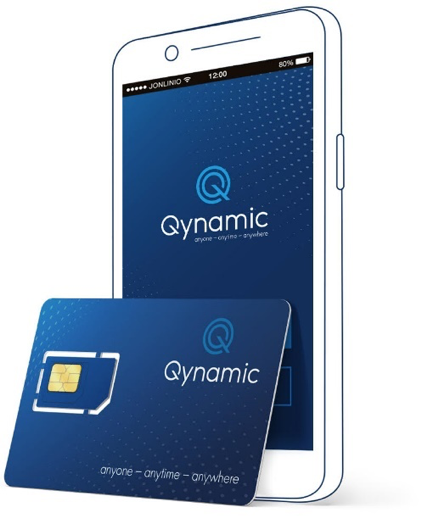 Qynamic’s Q-Travel offer includes a global SIM card, which always includes a 90-day starter data package. The size of the starter data package varies depending on distribution channel and/or sales price. 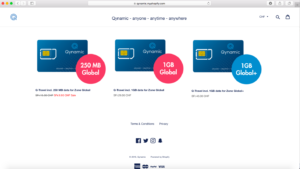 On the Qynamic Webshop the SIM cards are available with starter data packages of 250MB and 1GB for the zone Global and 1GB for the zone Global+. If you are not sure which zone you need for your trip, you can look it up on our Zone Model. If you have bought a SIM card with the respective starter data package, you can surf off the data package within 90 days. After 90 days the data package expires to 0MB. If you want to purchase additional TopUps, you can do this via the app. You can either buy 1GB or 3GB data package for the Zone Global or a 1GB data package for the Zone Global+. The TopUps are valid for 30 days and are activated immediately after purchase via the app. You can buy several TopUps if you need more than one or if you want to buy a TopUp for the Zone Global and a TopUp for the Zone Global+, that is possible as well. Basically, the TopUp that expires first is surfed off first. Exception: You have one data package for the Global zone and one for the Global+ zone. If the data package for the Global+ zone now expires first, but you are in the Global zone, then the data package for the Global zone is surfed off first! You change the SIM card and use the Q-SIM for your trip. You buy a MiFi device (or iPad etc. ), insert the SIM card into this device and use it as a mobile hotspot. Since you are not bound by a contract with Qynamic, you do not pay monthly or annually like with a mobile phone subscription, but you pay for the data package you buy. That means, for example, you pay 15.- for a 1GB data package and if this is used up, then you have no further fixed costs. So you can buy data packages only when you need them. Note, however, that the data packets are only valid for 30 days. Also note that a Q-SIM is deactivated after 180 days of inactivity. Inactivity means that no data traffic has occurred in the last 180 days and no Q-TopUp (data package) has been activated. As soon as you generate traffic or activate a new Q-TopUp (data package), the 180-day period starts again. If you want to reactivate a deactivated Q-SIM, please contact our Support. We can reactivate a Q-SIM within 365 days after deactivating the SIM card.